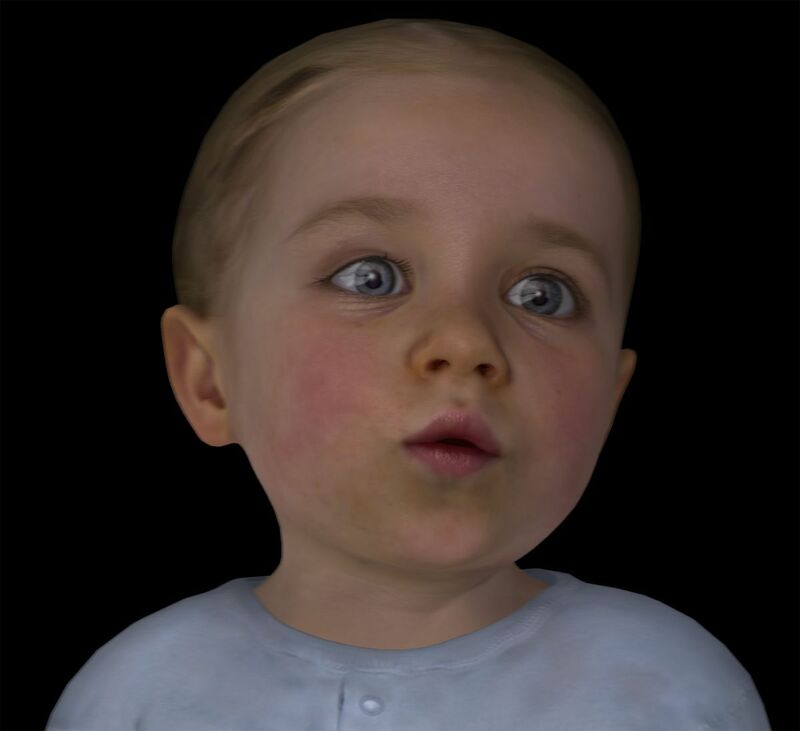 BabyX, the virtual, artificially intelligent creation of Mark Sagar and his new company, Soul Machines Ltd., looks, sounds, and acts so much like a real baby that interacting with her produces a genuine emotional response — just like the kind you get when a real baby coos and giggles at you. That’s exactly the point: BabyX makes it appealing to humans to interact with an AI, and each instance of interaction teaches her more about what it’s like being human. Sagar is a force for the humanization of AI, which he believes may be important to installing a symbiotic relationship between humans and AIs. Many AI experts argue that robots and AI systems can only realize their full potential if they become more like humans, with emotions and memories informing their behavior and decision; those are the things that motivate us to seek out new experiences. Sagar’s techniques in this area are radically innovative, in that his detailed, artistically-rendered faces mask biological models and simulations of unprecedented complexity. For example, each time BabyX smiles, she has perceived something with her “senses” which has triggered her simulated brain to release virtual endorphins, dopamine, and serotonin into her AI system. One layer of her visualized self reveals glows in the areas of her brain connected to language and pleasure when she sees words and receives praise. “Researchers have built lots of computational models of cognition and pieces of this, but no one has stuck them together,” Sagar told Bloomberg. “This is what we’re trying to do: wire them together and put them in an animated body. We are trying to make a central nervous system for human computing.” The team has begun this in earnest, and created the world’s most detailed map of the human brain — all of this part of the team’s larger feat of reverse-engineering the inner life of the human. Soul Machines debuted its first AI face, Nadia, in February. Nadia, who speaks with Cate Blanchett’s voice, will work for Australia’s National Disability Insurance Agency, interacting with customers full-time on the agency’s website by early next year. The goal is to be more usable and personable than the typical text-based chatbots we encounter online. Soul Machines has 10 other trials underway with airlines, financial-services firms, and health-care providers. Image Credit: Soul Machines, Ltd.
As the technology improves, it will have broader applications that are less reliant upon users’ proximity to a computer screen. These kinds of personable AIs will likely be part of autonomous cars, and Google parent Alphabet, Amazon, and Apple will probably want their virtual assistants to have faces. While the research could lead to far more likable, believable virtual assistants and other wonderful breakthroughs, it does raise questions about the nature of free will and what it means to enslave an intelligent being, regardless of its origins. Would an AI stuck with customer service duty grow weary of pushing that proverbial rock up the logistical hill? Could an AI toddler be traumatized by the collective human fear of the uncanny likeness of nonhuman reactions to human emotions? Do virtual babies dream of electric cradles? As BabyX learns to play the piano, laugh at jokes, and interact with humans, it’s easy to anthropomorphize it; to wonder if it is self-aware. Who are we to say, proponents of the Simulation Hypothesis will argue, for whom a virtual baby is perhaps the only kind of baby that ever was.